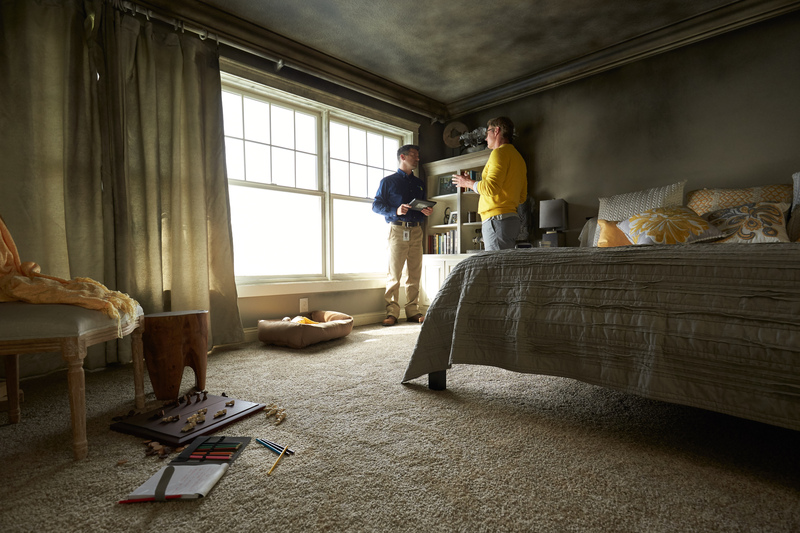 When a fire happens in your home, we understand that everything is damaged – from smoke and soot collecting on surfaces to actual structural damage to your property, experiencing the aftermath of a fire can be stressful. This is where ServiceMaster Restore® can help! Before we begin reconstructing damage property, structural cleaning must take place. This means removing smoke, soot and debris from walls, ceilings and other surfaces. Using state-of-the-art equipment, our experienced and highly trained technicians fully clean your property from smoke before they begin reconstruction. This cleaning eliminates hazardous materials – such as soot – and makes it safe to reconstruct your property. ServiceMaster will work with any insurance provider and determine the best course of action to fully clean and remove all signs of a fire in your home.